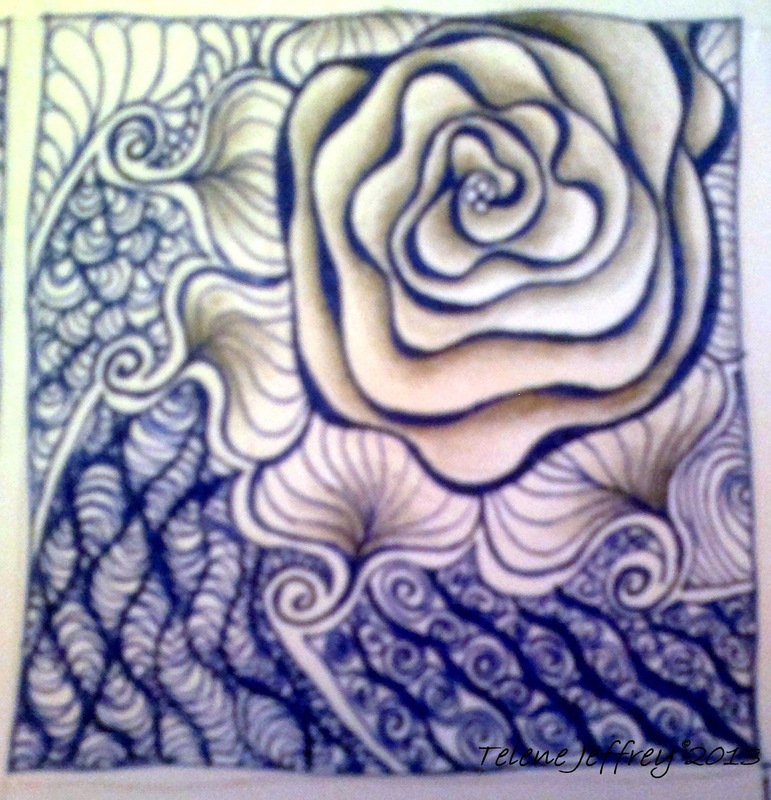 So I went to class at Tilly de Harde for some inspiration and made this piece. 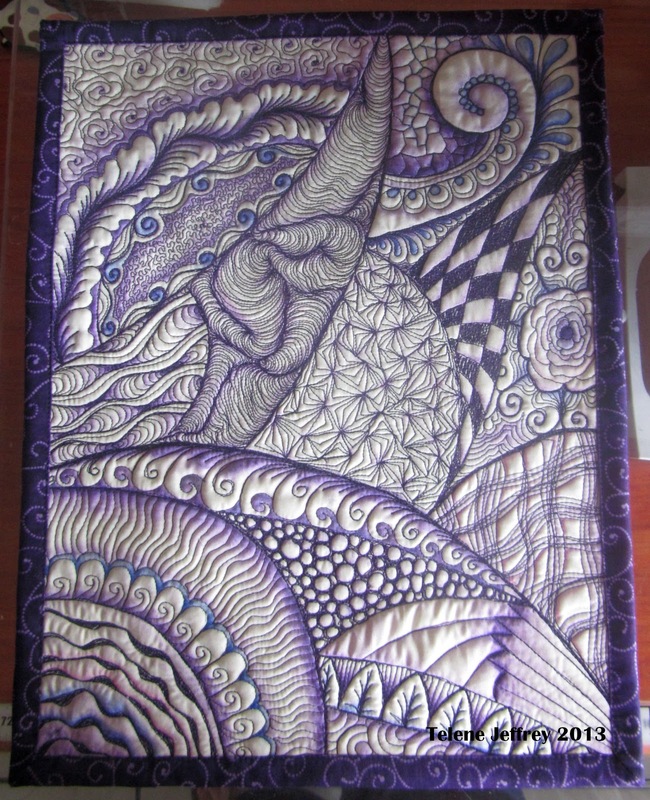 It’s all freemotion quilting with a bit of colouring for depth. 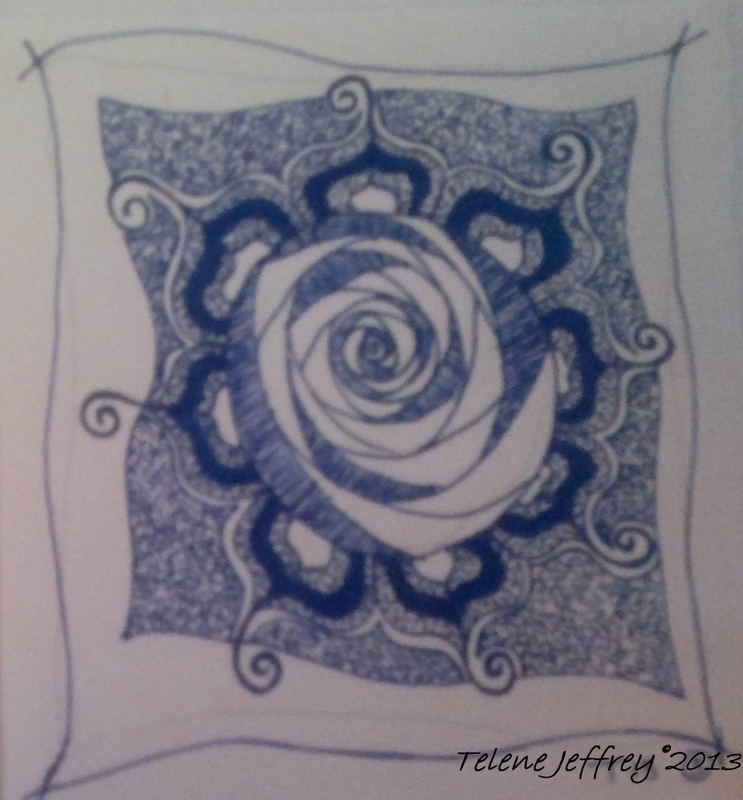 Much like Zentangles. 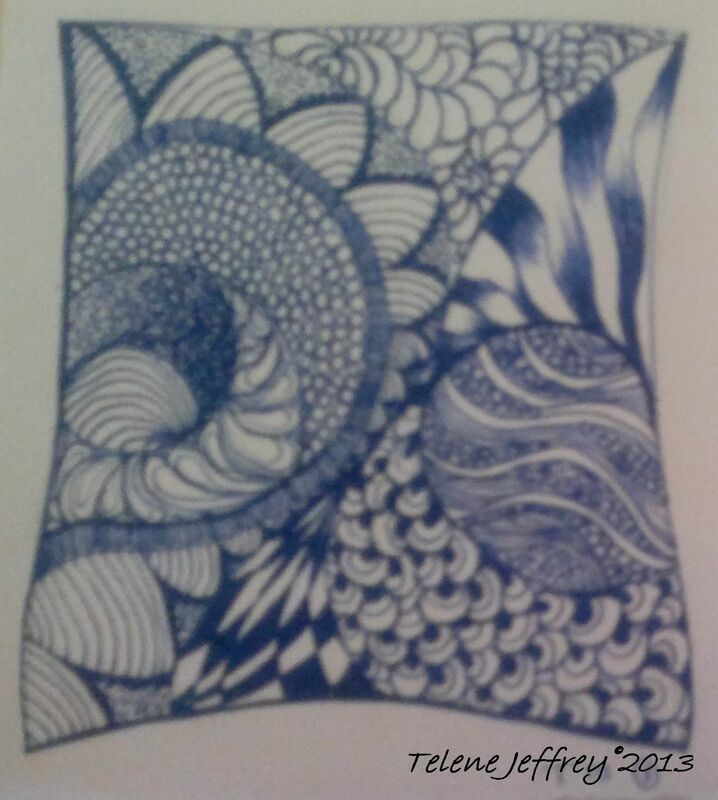 These images below were my first attempts at Zentangles (pen drawings) and now I’m addicted! But I want to quilt them. And that’s how Tilly’s Tangle came about. Now I really need to get back to my Client Quilt on the Frame.